Your elementary school teacher used to tell you while you faced down a tricky assignment, “Just tackle one thing at a time.” And that’s a habit that continues to serve you well in adulthood … most of the time. When it comes to home maintenance and upgrades, though, there are times when it makes more sense to multitask. Window and siding replacement is definitely one of those situations in which tackling multiple projects simultaneously has far more benefits than downsides. And unlike that fourth-grade science fair project, you’ll continue to feel the results of a window and siding project for years to come. What goes into replacing siding and windows? It’s easy to think primarily about the obvious parts of an upgrade. New siding! New windows! The contractor works some magic, and then things are looking shiny and new. But there’s a fair bit of behind-the-scenes work that goes into getting that perfect fit. What happens to existing siding when you replace your windows? For a full frame window replacement, the interface between your windows and siding will need to be redone, including the water barrier that runs beneath your siding. This requires removing some of the siding immediately around your window. Putting all that siding back isn’t always easy, and will often result in a patched-together appearance. At that point, you may wish you had new siding already, even if you didn’t before! Insert replacement, which preserves the outside window frame, avoids the need to mess with your siding, but it results in less glass space in your window overall, and doesn’t help with leaks or drafts that come with older window frames, meaning that your new windows may not be very efficient, and could require replacing (again!) in just a short amount of time. 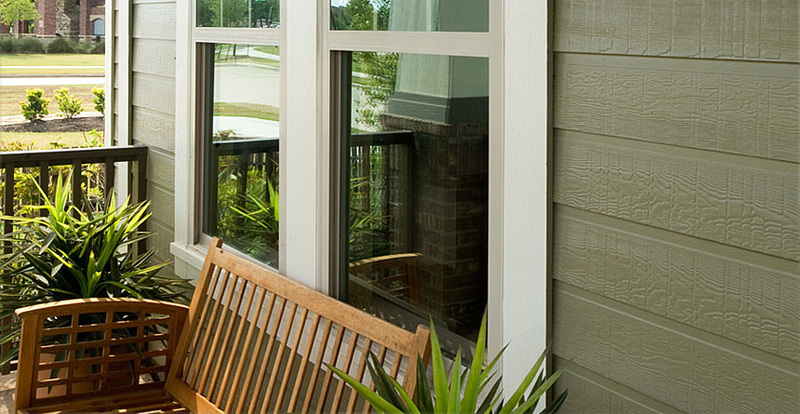 What happens to existing windows when you replace your siding? Any window capping on your home is liable to become damaged when your siding is replaced. This doesn’t mean that your contractor has been negligent; rather, it’s the nature of siding projects that the edges can end up a little worse for the wear. Since capping is what keeps your window frames protected from the elements and moisture-free, most contractors will want to recap those windows as soon as possible, in order to prevent damage to your home. This is true whether your windows were capped a decade ago or only last month, which means you might end up paying to have your windows capped twice instead of once. Replacing windows and siding together makes the most sense. Not only do you save money in the long run by avoiding damage to newer siding, capping, or window frames, but you also gain greater efficiency. Well-designed siding and windows that were installed together are less likely to have leaks leading to poor insulation, which can drive up your utility bills. And, of course, there’s the aesthetic benefit of having siding and windows purchased from the same source, meaning that the styles of each were intended to go together for a coherent appearance. It can be intimidating to think about replacing siding and windows at the same time. After all, each project is a significant one and represents a major investment in your home. This is why it’s important to work with a siding and window expert that is trustworthy and knows not only their business but your community. The Siding and Windows Group is Chicago’s choice for projects like this. Get in touch for a free quote today.